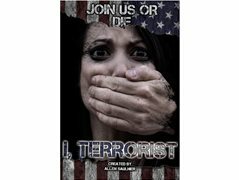 I, Terrorist, focuses around a group of hacktivists that are perceived as being terrorists by most, but are one of the only forces fighting against a vastly powerful secret society. The elitist group is corrupt and uses war, human trafficking, debt and social disintegration to maintain control. The hackers are aided by a deadly and secret group of female assassins that have been fighting the corrupt group for thousands of years. They aid the hackers in this desperate attempt to save the world. It’s mission impossible meets Mr Robot. James Bond meets hackers. It’s gonna feature strong female roles with an international cast. Despite the name I,Terrorist, the show breaks away from traditional stereotypes about terrorists and this group of vigilantes embody the persona of villains to remain infamous and illusive. Production will take place predominantly in the Hamilton Region as will auditions and rehearsals. The show will air internationally throughout North America, Europe, The Middle East, parts of India and Russia. Compensation will be discussed with successful applicants. An elite group of soldier/assassins working for the enemy. These roles require some stunt work. The Jundiin are fit, strong, can be of any race. Successful candidates will be involved in fight scenes. A knowledge of martial arts, hand to hand combat and weapons is a bonus. The Eimlaq - The warriors of the ancient times. The Eimlaq are descendants of a rare and special bloodline. They served the kings of ancient times and were the greatest warriors. Often standing over 6'5" They are strong , very tall and elite fighters. They serve the highest ranking members of the society. Successful candidates must be over 6'0". They will be fit. A bonus if they have experience with stunts, hand to hand combat or weapons. The most educated and powerful of the secret society, they rule with an iron fist. they have access to trillions of dollars and resources beyond recognition. These men often speak multiple languages and can be any race, age or from any nation. They are always surrounded by body guards and beautiful women.